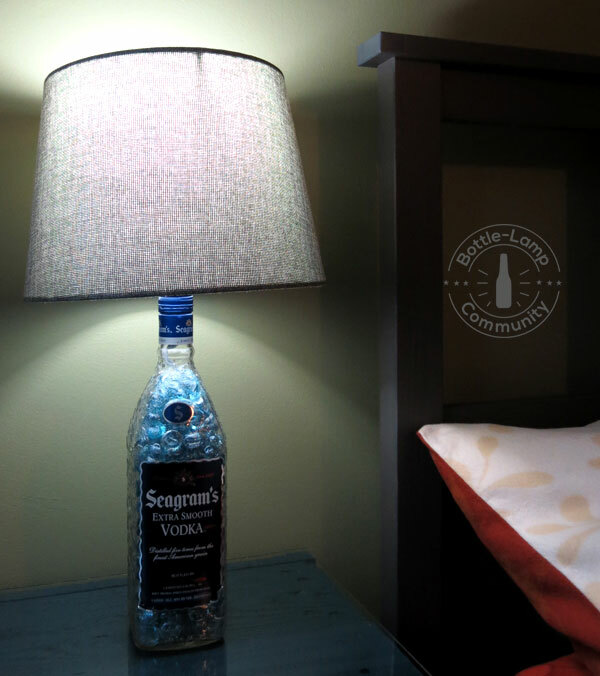 Creating your own personalized DIY bedside lamps is easier than you think. 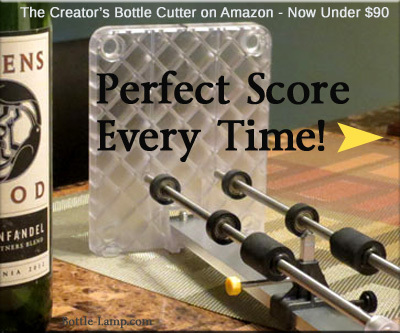 With a simple glass drill bit and a lamp kit you to can create your own bedside lamp. Warning – If you want to keep balance in your bedroom it is highly suggested that you plan to make two of these lamps. Of course having matching lamps on a homemade night stand on both sides of the bed will offer a more lucid look. Check out the article on the 9 benefits of DIY Furniture on our lifestyle blog. Step One – Find your favorite decanter. Now remember that this will be the last thing you look at before your head hits the pillow at night. With that thought in mind, you might want to go with a lamp base a little more neutral looking than the one we used. I could have simply removed the label on the bottle in the picture and still gotten that cool blue feel. The label matched our decor so I opted to keep it. The look you hope to achieve with your own DIY bedside lamps should help you decide on your chosen design. Step Two – Collect the tools. 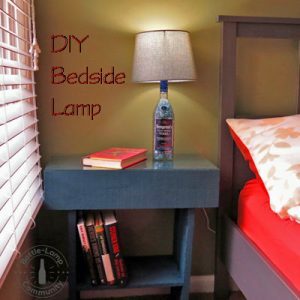 Here is a list of tools and supplies you will need to make your DIY bedside lamps. They are… two empty glass bottles or decanters, glass drill bits, lamp kits, lamp shades, and (optional) rubber grommets, and bottle filler. Once you’ve collected all your materials you can begin your glass bottle transformation. 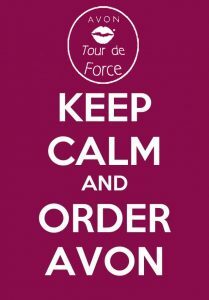 Check out our resources page if you need any of these supplies. Step Three – Drill the glass bottle. Find a spot on the backside of your bottles, preferably the lower section, for your electrical cord hole. I go into more depth on drilling glass with my post ‘Tips For Drilling A Glass Bottle‘. For the purposes of this post I’ll stick to the steps needed to make the bedside lamp. Step Four – Start the wiring process. Before you run the cord through the holes you drilled be sure to put on the rubber grommets. Once you have lamp kits wired together you can push the grommets up to the edge of the drilled glass section. This gives your DIY bedside lamps a more finished look and covers up any disparages that might have occurred during the drilling process. The optional filler that was mentioned above is something that you can add to your bottles before you put the top of the lamp kits on the bottle necks. Color filler can pretty much be anything that you want, provided that you can still get it through the neck of the bottle. Adding filler will hide your electrical cord and give your lamp added stability, unlike an empty bottle, keeping it from tipping over. Step Five – Attach your lamp shade. Matching lamp shades to the different shapes and sizes of bottles or decanters is one thing, but you will also want to match the feel and colors of the room. If your lampshades are too big then you’ll be top heavy, go too small and it will have a bowling pin look to it. Find your happy medium on size and color and you’ll be ready to put the icing on the project. 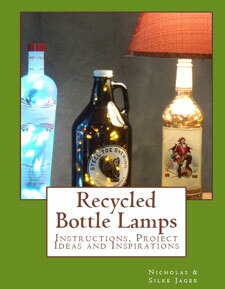 Check out the article ‘How Can We Make The Ideal Lampshade For A Bottle Lamp?‘ for more tips. Are you hungry for more? 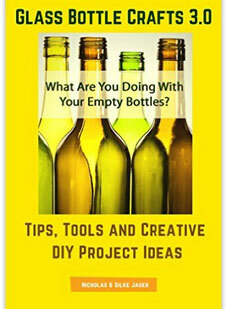 Be sure to check out our DIY Show Off pages for more inspirational bottle crafts. With so many different types of lamps to choose from, you just might find yourself making different variations of the same bottle. Have we inspired you to make your own DIY bedside lamps? Leave us a comment below.